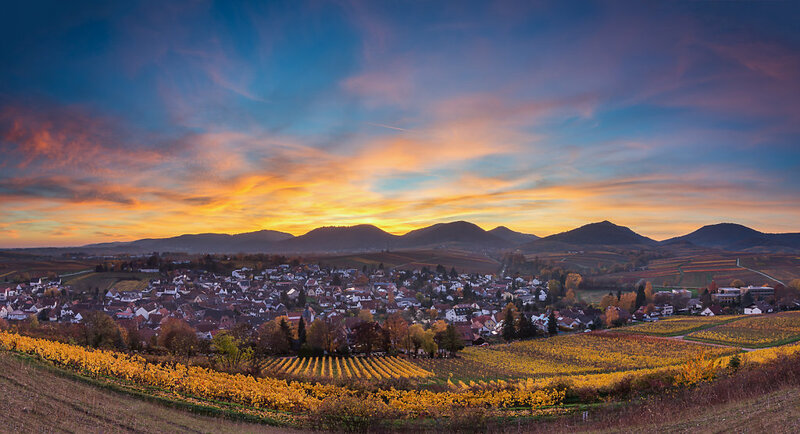 From the small chapel "kleien Kalmit" you have a very good view over the village Ilbesheim and the palatine forest during the sunset. This afternoon was many mist in the air, but i saw the black forest far away. This is for me a indication, that a good sunset will be come.